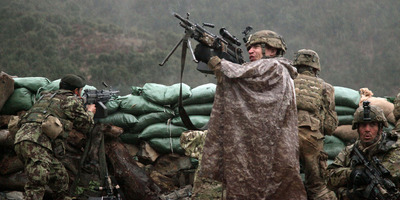 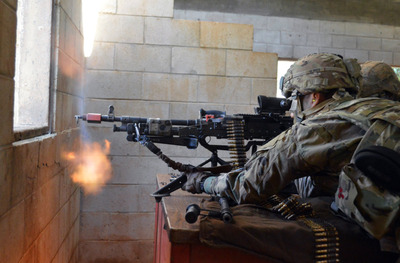 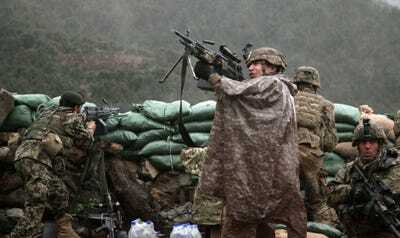 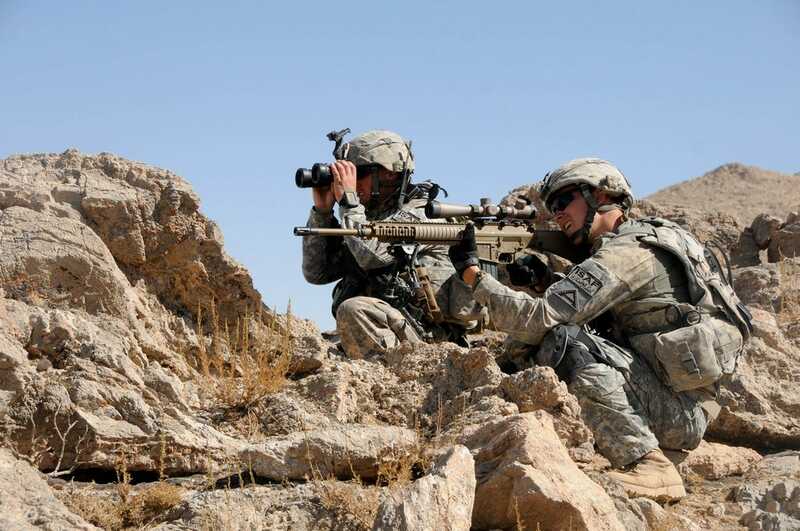 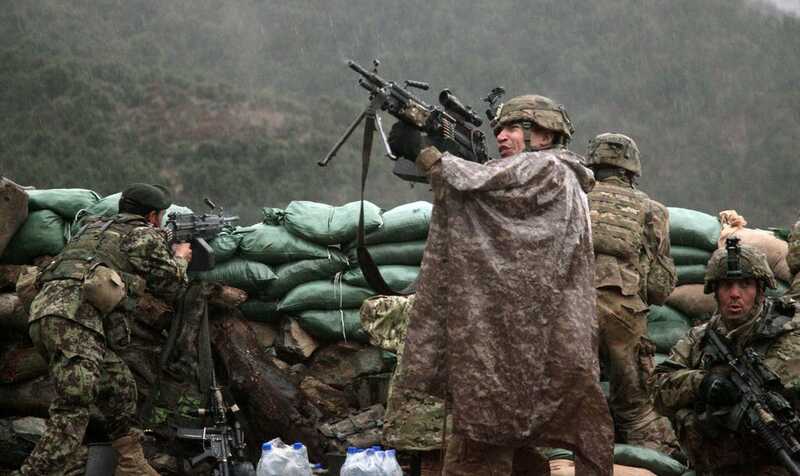 US ArmyA U.S. Army soldier with the 101st Airborne Division returns fire with a M249 light machine gun during combat operations in the valley of Barawala Kalet, Kunar province, Afghanistan, on March 29, 2011. 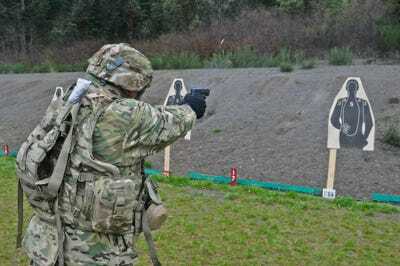 For example, the Army recently began to replace the M9 and M11 pistols with the M17 and M18, but has only delivered them to soldiers in the 101st Airborne Division at Fort Campbell in Kentucky. 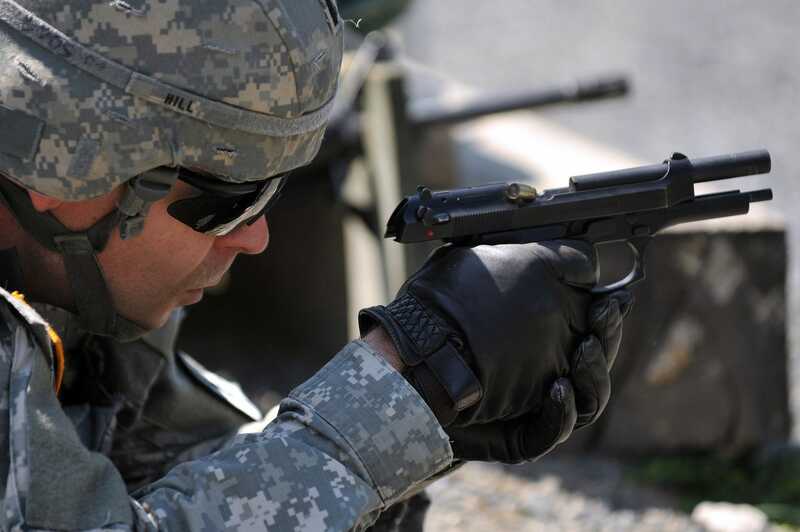 Therefore, the pistols are not yet standard issue. 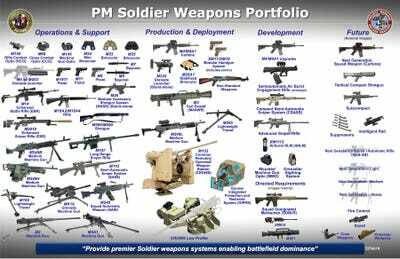 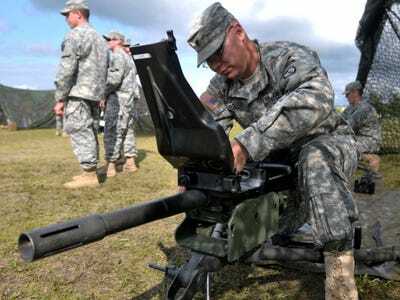 And we compiled a list of all these standard issue weapons operable by individual soldiers below, meaning that we didn’t include, for example, the Javelin anti-tank missile system because it takes more than one person to operate, nor did we include nonstandard issue weapons. The M1911 is a .45 calibre sidearm that the Army has used since World War I, and has even begun phasing out. The 12-gauge M590 is very similar to the M500 – both of which are made by Mossberg – except for little specifications, such as triggers, barrel length and so forth. 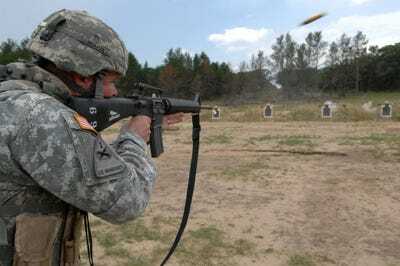 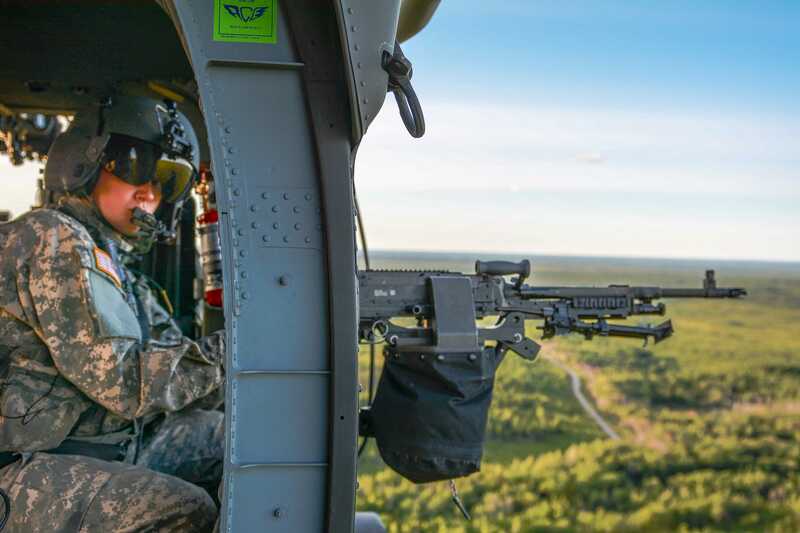 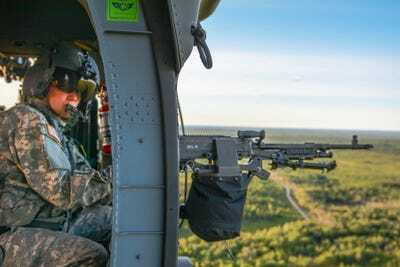 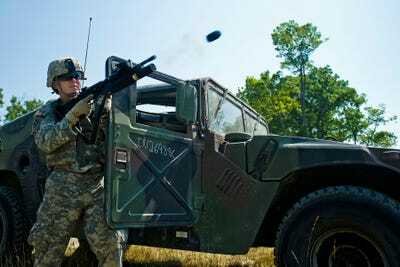 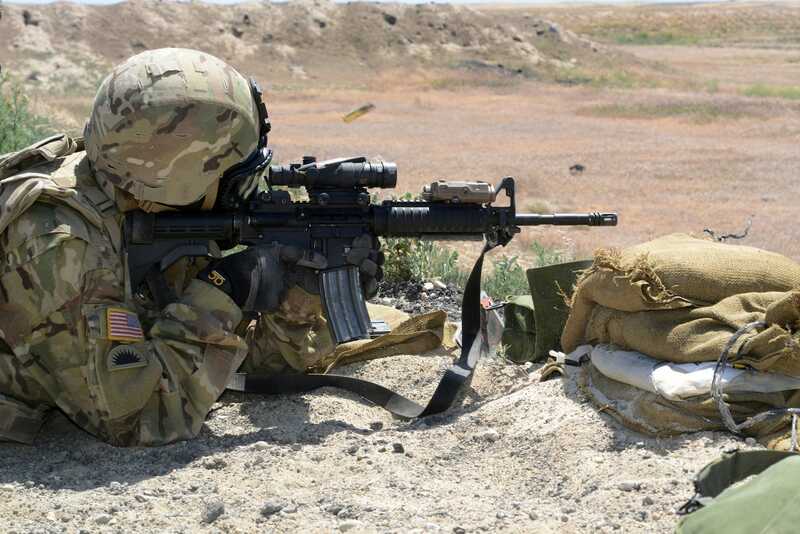 The M26 is “basically a secondary weapon slung underneath an M4 to allow the operator to switch between 5.56 and 12-gauge rounds quickly without taking his eyes off the target or his hands off of his rifle,” according to the US Army. 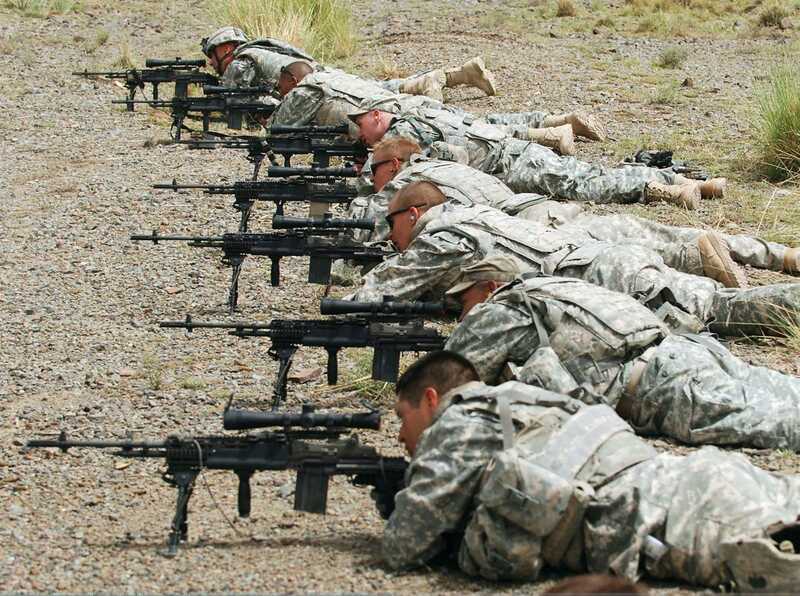 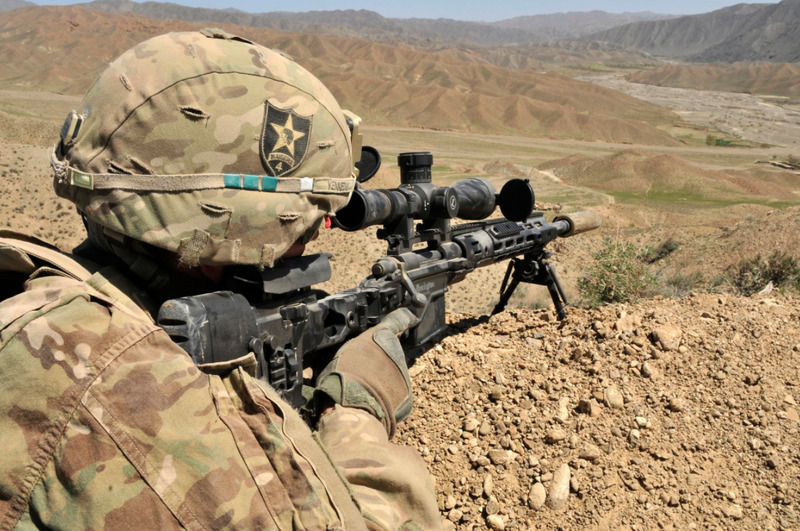 The M14, which shoots a 7.62mm round, has been heavily criticised, and the Army is currently phasing it out. 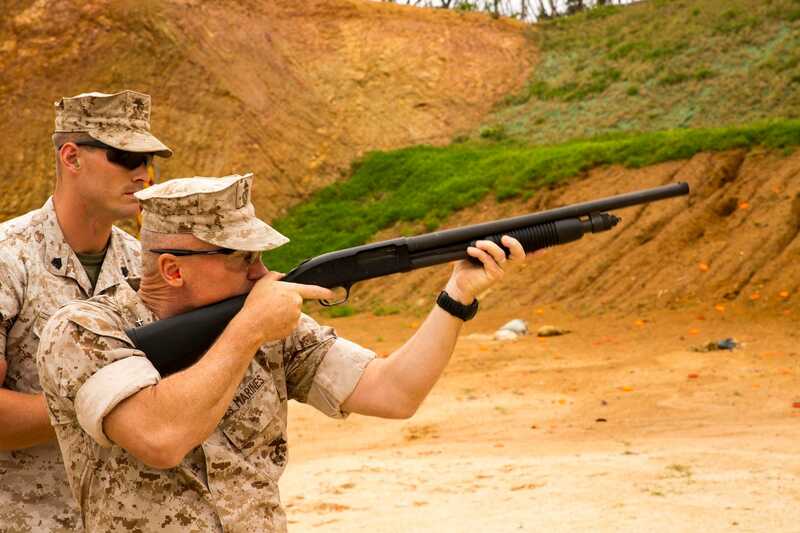 Read more about that here. 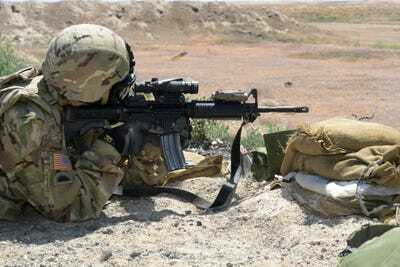 US ArmyA U.S. Army soldier returns fire with a M249 light machine gun during combat operations in the valley of Barawala Kalet, Kunar province, Afghanistan, on March 29, 2011. 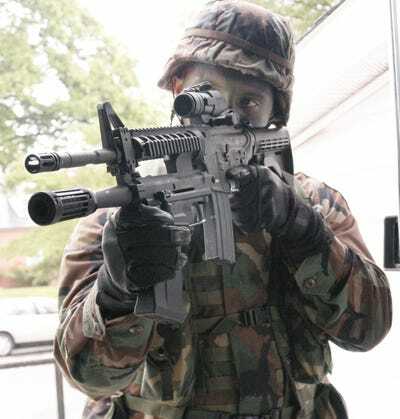 The SAW shoots a 5.56mm round like the M4 and M16, but it’s heavier and has a greater muzzle velocity and firing range. 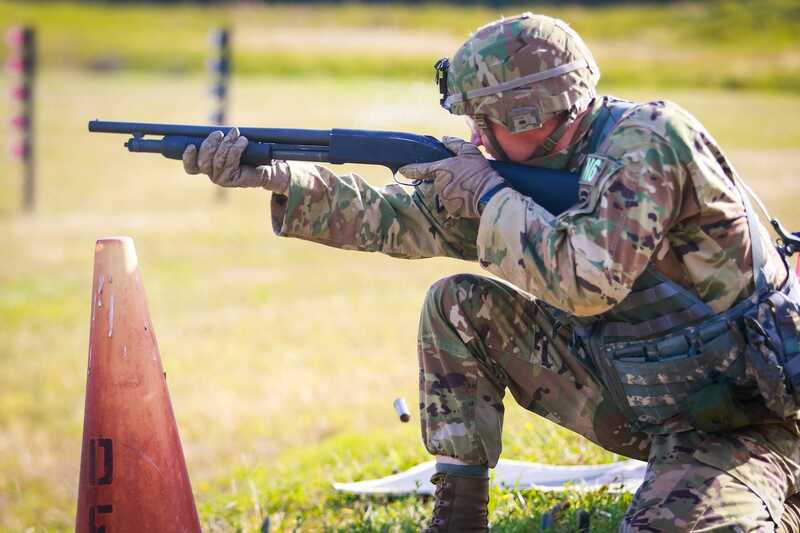 The M240L is a much lighter version of the M240B, weighing 22.3 pounds, versus the 240B’s 27.1 pounds. 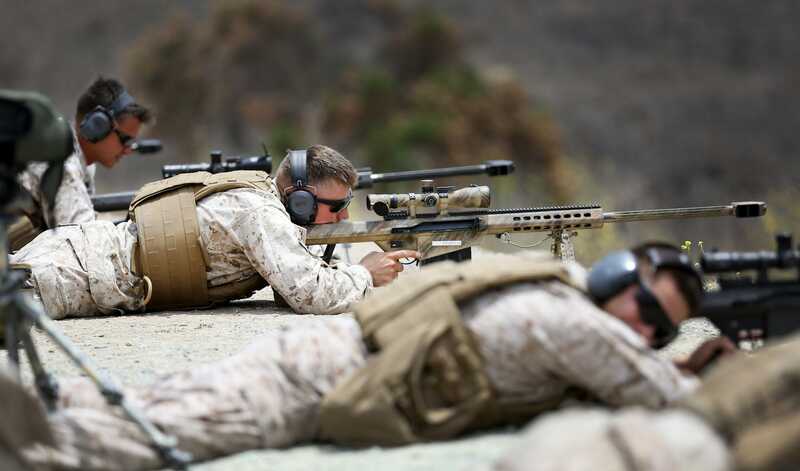 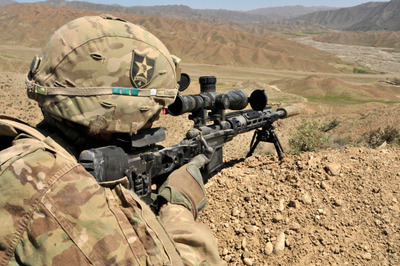 The M2010 shoots a .30 calibre, or 7.62x67mm round with an even greater effective firing range than the M110 at nearly 4,000 feet. The M2 shoots .50 calibre rounds with an effective firing range of more than 22,000 feet. It’s also very heavy, weighing 84 pounds. 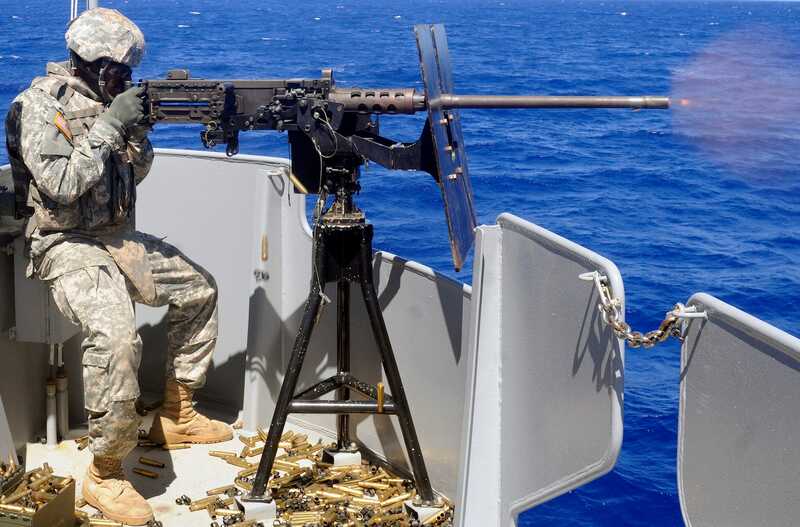 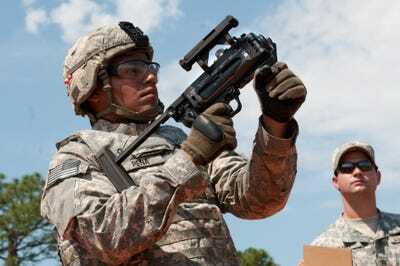 The M320 is the Army’s new 40mm grenade launcher, which can be fitted under a rifle or used as a stand-alone launcher. The M203 could too, but rarely was. The MK19 is a 40mm automatic grenade launcher that can mount on tripods and armoured vehicles. 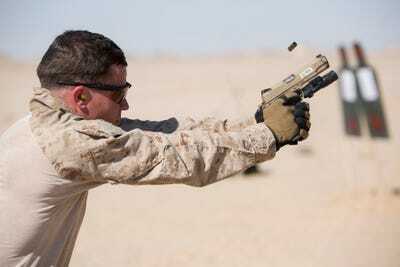 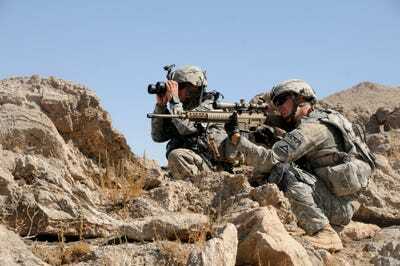 It has an effective firing range of more than 7,000 feet, compared to the M320‘s 1,100 feet. Sgt. 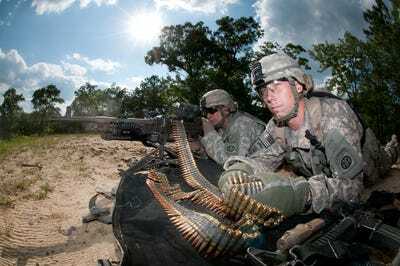 Juan JimenezA soldier fires a Carl Gustav M3 84mm recoilless rifle. 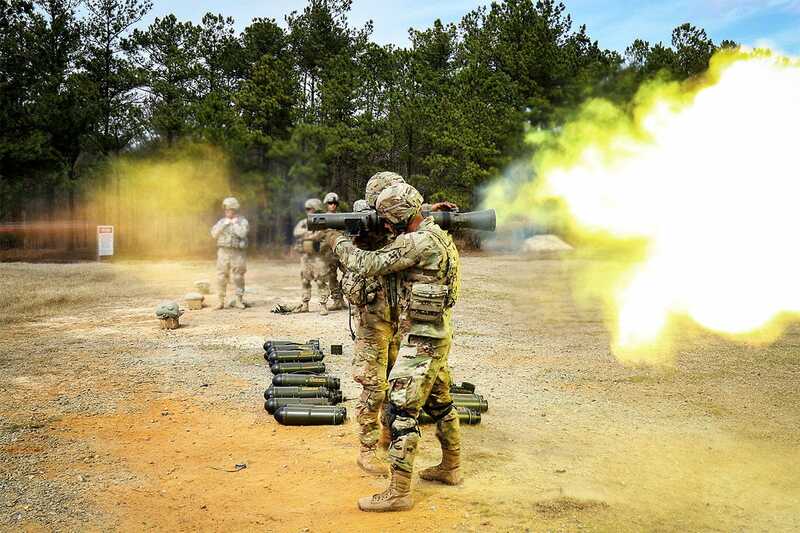 The M3 Carl Gustaf is an 84mm recoilless rifle system that can shoot a variety of high-explosive rounds at a variety of targets, including armoured vehicles. 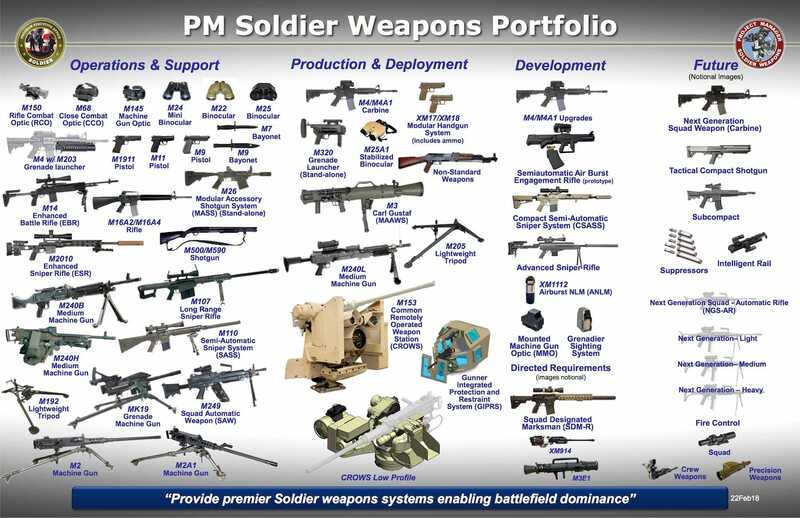 US ArmyAll of the US Army’s standard issue weapons to individual soldier as of February 2018.